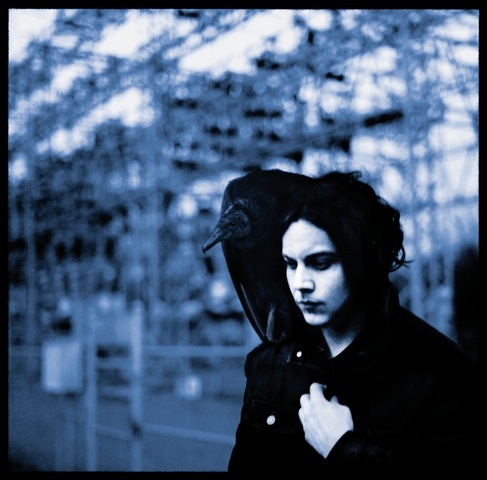 Jack White is a super talented artist whose music I've enjoyed for the last several years. From the White Stripes, the Dead Weather, Raconteurs, and his new solo effort "Blunderbuss", White's well crafted songs are powered by a raw energy that connects on a deeper level. He makes his own instruments, enjoys recording to vinyl, and even started his own record label. While enjoying this latest album, I was drawn to the moody cover photo with it's overtly blue tint. The effect is something that can actually be recreated in the camera without the use of post production. The trick is done by simply changing the White Balance preset to the icon below. Change the White Balance from the Auto Preset, to the Incandescent. Grab your camera and head outside to try this. The effect will not work as well indoors. Access your White Balance menu and select the Tungsten or Incandescent preset. Normally, these presets are designed to cool off the warm light typically found in most homes. By providing a healthy dose of blue, it neutralizes the very warm tones of the household lights. Outdoors however, the entire photo takes on a blue color cast. It can be an effective way to create something unique, and lends itself to an introspective mood. Give it a try.